The UK is not overly populated with great theme parks, but that just means our imaginations go wild when we are given the chance to build our own. 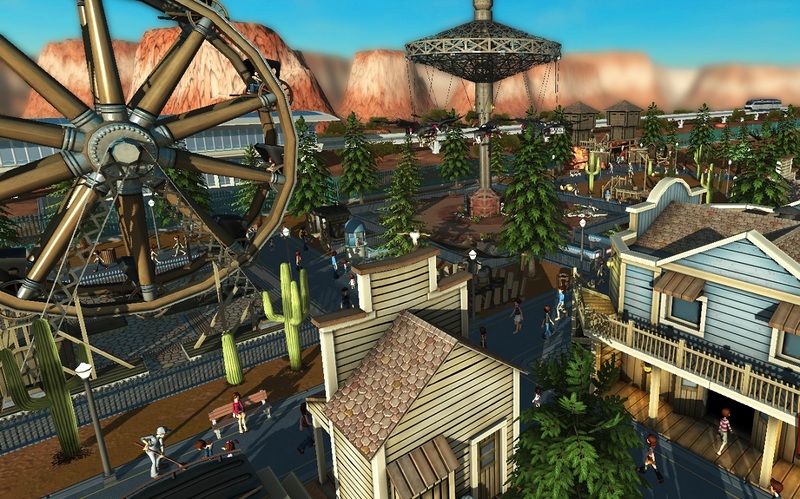 RollerCoaster Tycoon World is going to give PC gamers, Brits and the whole world this chance. Who hasn't wanted to design something that makes people vomit? The beloved RollerCoaster Tycoon® franchise soars to new heights with RollerCoaster Tycoon World™ for PC! RCTW is packed with all the fun-filled gameplay fans know and love, plus all-new innovative features to help you build the park of your dreams. Tycoon is currently coming to PC only and has no release date. What it will have is 4 player online co-op that will allow you to join with mates to design all the deathly rides that you could wish for. Page created in 1.1974 seconds.